So You’ve Had A Head Injury, What Can You Do? Head injuries are the hidden causes of a multitude of psychiatric disorders. Whether you suffer from depression, anxiety, or even poor decision-making, it’s often an undiagnosed brain injury at the root of the problem. However, as Dr. Amen says, you CAN make your brain better. In this episode of the podcast, Dr. Amen and Tana discuss the first steps towards getting your brain back to a healing environment. 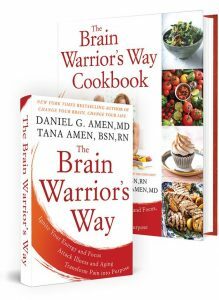 Dr. Daniel Amen:	Welcome to The Brain Warrior's Way Podcast. I'm Doctor Daniel Amen. Tana Amen:	I'm Tana Amen. In our podcast, we provide you with the tools you need to become a warrior for the health of your brain and body. Dr. Daniel Amen:	The Brain Warrior's Way Podcast is brought to you by Amen Clinics where we have been transforming lives for 30 years using tools like brain SPECT imaging to personalize treatment to your brain. For more information, visit amenclinics.com. Tana Amen:	The Brain Warrior's Way Podcast is also brought to you by Brain-MD where we produce the highest quality nutraceuticals to support the health of your brain and body. To learn more, go to brainmd.com. Dr. Daniel Amen:	Welcome back. We're talking about traumatic brain injury and all the ways it can mess up your life including decreasing empathy. Dr. Daniel Amen:	What I've found that the scans do is they increase the empathy of the people who are with them. Tana Amen:	That's critical because if you think about it would be so easy to get, like you would say, to get really angry and take it out on that person or leave that person if you're talking about if it's a domestic partner but even if it's your child. Even seeing one of my child who didn't have a brain injury, but it just helped me to understand behavior so much more clearly. Dr. Daniel Amen:	See her scan. Tana Amen:	Seeing my mom's, who did have a traumatic injury, really helped me understand why ... It helped me understand my entire life, actually. It really helped me understand her. Dr. Daniel Amen:	In another study people who suffered even a mild traumatic brain injury, which was defined as a head injury which left them feeling dazed or confused, were 60% more likely to have died in the study period than those who had no injury. Even of more concern, there was a 91% more likely to have been hospitalized for psychiatric problems. Dr. Daniel Amen:	55% more likely to have done less well in education, 52% more likely to have needed disability benefits. Dr. Daniel Amen:	It's estimated that there are about two million emergency room visits for traumatic brain injury every year in the U.S. in addition to hundreds of thousands of unreported incidents of head trauma including undiagnosed concussions as it relates to sports. Research shows undiagnosed brain injuries are a major cause of depression, anxiety, drug and alcohol abuse. Homelessness, there's a study from Toronto, 58% of the homeless men in Toronto had a significant brain injury before they were homeless, 42% of the homeless women. Females who have frontal lobe injuries, like heading soccer balls, have significantly more disability than men who have frontal lobe injuries because the female brain, 90% of her IQ is in the front part of her brain. Dr. Daniel Amen:	For men, it is more widely distributed. Tana Amen:	What I'm hearing is, what I'm hearing besides how many lives are ruined, is this is a massive drain on society. Tana Amen:	As far as our resources, this is ... Treating brain injuries would be far more effective than treating the after effect, than treating the consequences. That's crazy. Dr. Daniel Amen:	Do you have a review? Tana Amen:	I do. You guys are awesome. Thank you. Love listening to all the content you put out, it has helped me so much and with my ADD and life. Thank you. That is from Pat Quest. Thank you so much. 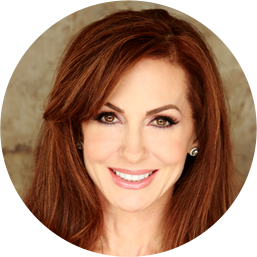 Dr. Daniel Amen:	We love the reviews. Please, keep sending them in 'cause that way we know you're listening. There is just so much to talk about. Tana Amen:	That we're not talking to cyberspace air. Dr. Daniel Amen:	Some of the common symptoms of concussion, confusion, memory problems ... we had that issue recently in our family where someone just forgot their day ... difficulty with concentration, difficulty with word finding, mental and physical fatigue, sleep problems, sensitivity to noise and light ... remember the Irlen syndrome we talked about ... moodiness, anger outbursts, anxiety, social isolation, vision problems, balance problem. I said 91% of people, it affects their frontal lobes. About half of them, they have less activity in their cerebellum. Tana Amen:	They're likely to fall again then. Tana Amen:	'Cause that's coordination. Dr. Daniel Amen:	... the risk of another concussion. Tana Amen:	As I'm reading this, because we've dealt with several people in our own family who have had these symptoms and had head injuries, so many people are told or somehow believe that it will be over with in a month or two. That's not always true. Dr. Daniel Amen:	It depends on how severe it is. There's actually a SPECT study by Jacobs, 1996, they looked at if your SPECT scan after a traumatic brain injury is normal you have a 100% chance that you're going to do fine. But, if your SPECT scan right away is not normal, then it's actually not predictive. What's interesting is your scan at nine months, if it's still troubled at nine months, 'cause the brain has a lot of healing mechanisms, if it's troubled at nine months, it predicts that you're going to continue to have trouble unless you go and rehabilitate the trauma. Tana Amen:	Things like hyperbaric oxygen. Dr. Daniel Amen:	[inaudible 00:06:13]. It's all the things we talk about in this podcast. 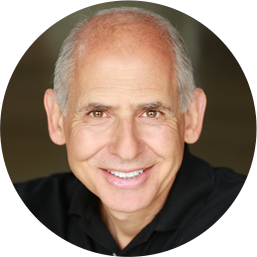 Dr. Daniel Amen:	It's the bright minds intervention that we talk about repeatedly. Tana Amen:	We're going to talk about interventions in the next podcast, correct? Dr. Daniel Amen:	Well, we can do it anytime. Tana Amen:	The nurse in me is wanting to jump in. Dr. Daniel Amen:	Your beautiful brain wants to talk about it, but basically, what I want you to think about are three things if you've had a traumatic brain injury. Brain-MD, you've got to care about it. It runs everything. Why I've been able to be married to this incredible woman is my brain lets me know what I want, kind, caring, loving, supportive, passionate relationship, and I act like that because that's what I want. Dr. Daniel Amen:	Negative thinking. Tana Amen:	... things through a different lens and so you begin to behave differently. Dr. Daniel Amen:	Brain-MD, you have to care about it. The second thing is you have to avoid anything that hurts it. You just need to know the list. This is why you do not, let me repeat, you do not let your kids play tackle football. Tana Amen:	But, my kid wants to. Dr. Daniel Amen:	You do not let them hit soccer balls with their head. Tana Amen:	But, they want to. Dr. Daniel Amen:	Yes, I hear that. I was at the Future of Medicine Conference and a friend of mine, who's a billionaire, says, "But, my son wants to play. In fact, I went and hired an NFL coach for him to teach him how to play football." I'm like, "Let me get this straight. Because he wants to do a brain-damaging sport, you're going to allow him. In fact, you're going to get him a great coach. What if he wanted to do cocaine? What if? Would you go find him the best drug dealer, the highest quality drug dealer you could because the level of damage is about the same?" Tana Amen:	See, that's crazy. Dr. Daniel Amen:	I've scanned a thousand cocaine addicts and I've scanned, I don't know, probably 20,000 people with traumatic brain injury and the level of damage is about the same. Tana Amen:	We have a friend who's a neurosurgeon who said the same thing, essentially. His son ... A neurosurgeon, he knows. He actually agrees with all of this. He's like, "Yeah, but you've got to let them do what they want." Here's my philosophy. You give kids the most amount of control that is safe and reasonable at the age that they're at. If they're not making good decisions, your job is to be their frontal lobes until they are. But, you don't just let them do whatever they want. Tana Amen:	Have to sign. Dr. Daniel Amen:	... as successful. Tana Amen:	Or, as happy. Dr. Daniel Amen:	That's not there. That their grades may go down, that their likelihood of getting divorced will go up, that they'll actually have four times the level of depression, that's from my NFL study, as the general population. Dr. Daniel Amen:	It doesn't say that. You need the protect their brains until theirs has developed. I say this a lot around here at Amen Clinics. We need to be our patient's frontal lobes until we fix theirs and as parents, you need to be your child's frontal lobes until theirs develops. It's not 18. It's more like 25. We've had this discussion recently about I'm actually a fan of kids staying close to home when they go to college, at least for the first couple of years because their brain is nowhere near finished developing. When I was 18, I went into the army, but it was like the good mother. Tana Amen:	The very strict mother. Dr. Daniel Amen:	Right? It was structured and when you did the right things they promoted you and gave you more money and when you did the wrong things they thumped you consistently, predictably, reliably. Tana Amen:	Yeah, they're pretty strict. Dr. Daniel Amen:	Brain-MD, that's number one. Avoid anything that hurts it including sugar. There's this fascinating study from UCLA where they gave mice head injuries, so they whacked them in the head. Poor mice. One group of mice, they gave them a really healthy diet. The other group of mice, they gave them the really healthy diet plus fructose. Three weeks later, the group with the really healthy diet could run a maze that they already knew how to run. The one that got the added sugar were still confused. Isn't that interesting? The Standard American Diet, SAD, that is filled with sugar and foods that quickly turn to sugar, is delaying your ability to recover from a traumatic brain injury. Brain-MD, avoid anything that hurts it, do things that help it. Stay with us when we finish this with on traumatic brain injury. We're going to talk about our healing program that we do at Amen Clinics. Tana Amen:	If you're enjoying the Brain Warrior's Way Podcast, please don't forget to subscribe so you'll always know when there's a new episode. While you're at it, feel free to give us a review or five-star rating as that helps others find the podcast. Dr. Daniel Amen:	For more information, give us a call at 855-978-1363. ← Concussions/TBI: What Happens In The Brain?